Ask anyone about the most trending thing and there is a high chance that people are either going to say Halloween or Presidential elections. 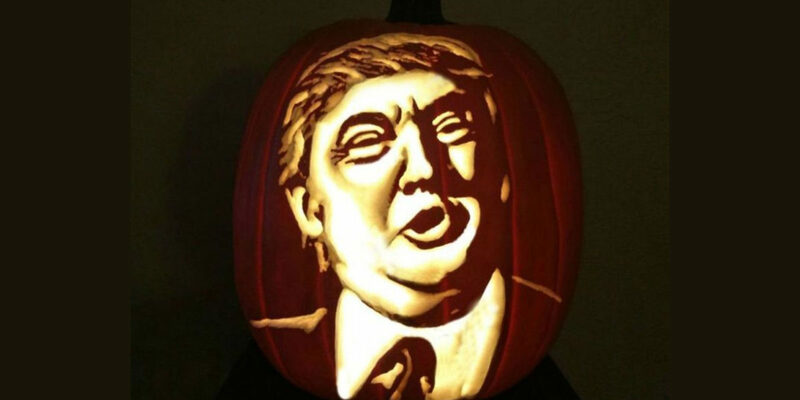 The trend seem to have taken a fusion route and people are decorating their pumpkins like Republican nominee Donald Trump. Apparently, Trump’s orange hued face has been the inspiration behind the concept. 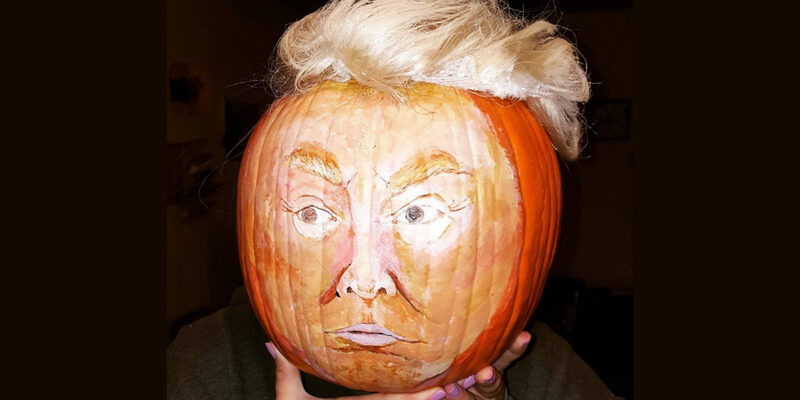 The artistic expression is becoming a rage and the trend has received an interesting name called ‘Trumpkin’. If you check Instagram there are over 6,000 Trumpkin photos that you can find. 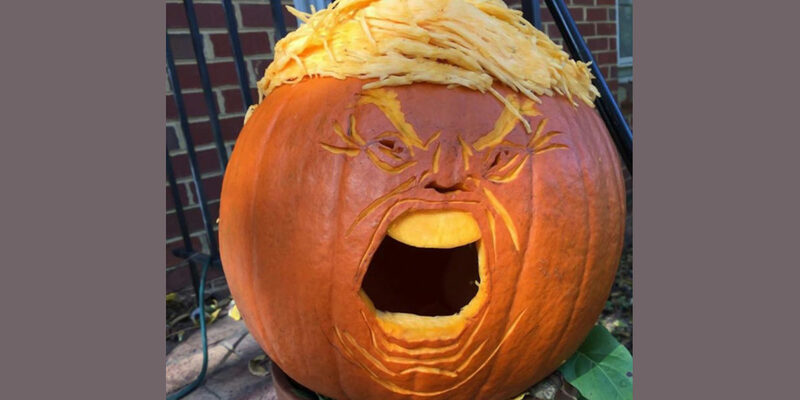 Halloween and Election day are soon approaching and with each day the Trumpkin keeps getting interesting and creative. Here is an interesting Trumpkin that has been created by painting the Pumpkin. No carving has been done here. What we loved the most is the hairstyle! And we love the sarcasm here. The carving must have not been easy but it is has been done very well. This is minimalism taken to another level. The painting looks like Trumpet and more like a female caricature version of him. If Trumpet sees this, he should try the hairstyle though. If you look at it carefully you can hear him yell in your mind. The idea of doing the hair with the inside of the Pumpkin is great and resourceful. This is one of the most popular Trumpkin that has been making the round. It has been shared a lot in the social media. No wonder, it is extremely well done and the detailing deserves a round of applause here. To play with light and shadow on a Pumpkin requires great finesse and we are completely in awe of the work done here. Another great effort, this time Hillary Clinton was also a part of the Trumpkin Pumpkin bandwagon. Enough of grumpy cat, we have a grumpy Trumpkin here. We think this is the closest a Trumpkin could get to Trump. No carving but very well perceived. This is a massive 374 pounds of Pumpkin that was created into a Trumpkin by artiste Jenette Paras.